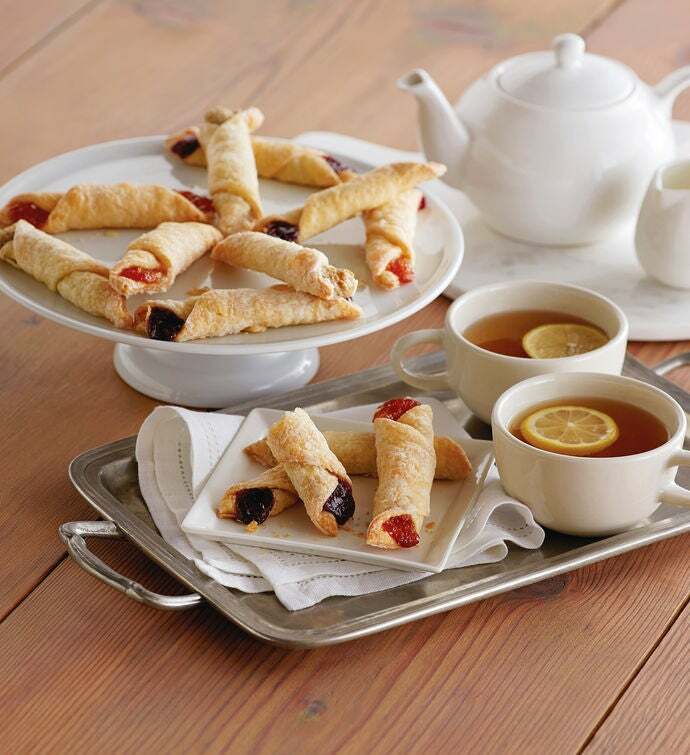 Made from scratch daily with an authentic Eastern European recipe, Kiffles are an irresistible and exquisite pastry. One bite into this incredibly soft, flaky and buttery treat and you will appreciate the finest ingredients that go into this flavorful bakery creation. Handrolled pastry dough is filled with raspberry, walnut, or apricot filling, and then delicately dusted with finishing sugar. Once you've indulged in a Kiffle, you may never go back to an ordinary cookie.